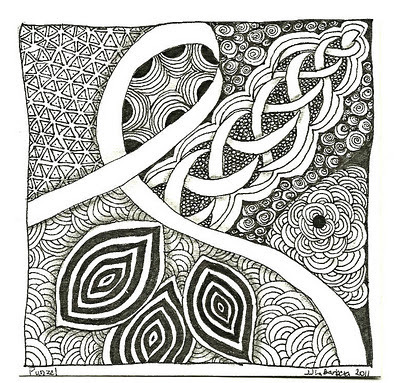 This week there is a new tangle from Rick and Maria called Punzel. Naturally when I saw the email I knew that the challenge this week would be to use Punzel. This was a double challenge for me as I did not know Changing either. I still need to work out some kinks in both of these tangles but I think I have the gist of it. My swoops are a bit narrow and come out looking more like crescent moons than ribbon but that's OK. I think the effect makes it look a bit sci-fi. 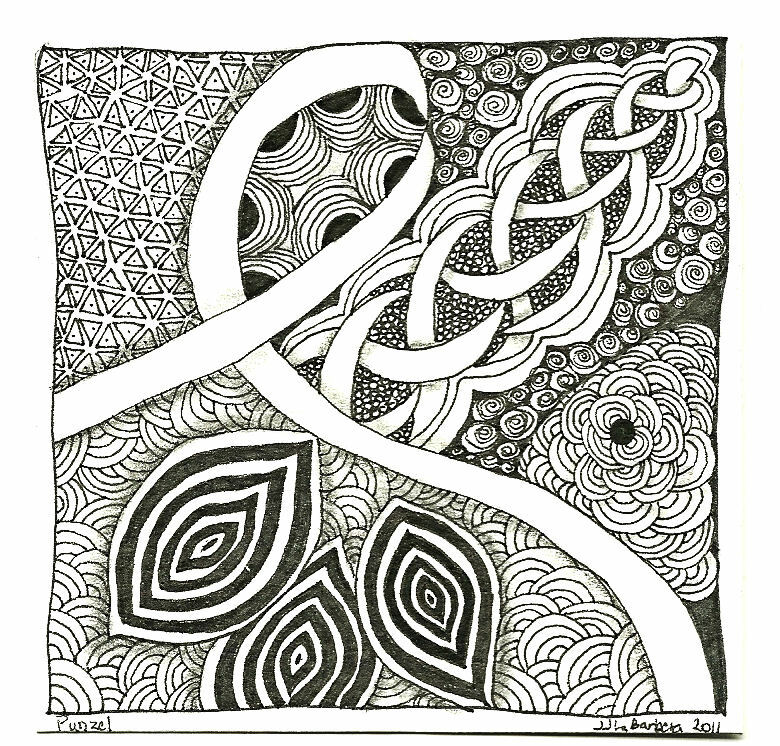 I used my scanner to get this week's zentangle posted so please forgive the harsh quality to the image. There is no sun today and I don't think we'll see it for a few more days, so taking a good photo is out of the question. Great tangling! You've used lots of detail!